You're here » Home » Social Media Marketing » Watch Your Language! Don’t worry; we’re not about to give you a Mel Gibson-esque spiel of profanity and insults; the language we’re most offended by these days is plain old English – or rather social media’s interpretation of such. In a day when content is delivered in the blink of an eye (or the rap of the keyboard), something interesting starts to happen; copy gets sloppy. That’s because, in the age of real-time information sharing, everyone is in the race to share the most relevant information quicker than ever. 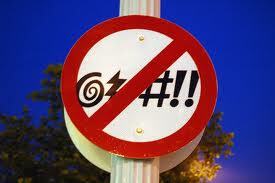 Unfortunately, as BizCommunity pointed out, bad language can undermine your brand and decrease your credibility. And with more and more businesses using non-writers to handle their socialmedia, or utilizing mobile media, it’s pretty easy to overlook a few gaping mistakes here and there. But your readers won’t. So if your Facebook page or Twitter feed or (God forbid) your website could be marked up with a red pen, maybe it’s time to ask for some professional help.